Good morning! Welcome to The Morning Shift, your roundup of the auto news you crave, all in one place every weekday morning. Here are the important automotive stories that will surely fill the empty, gaping hole in your life since Sarah left. The current presidential administration is making major cuts to the Environmental Protection Agency—cuts that could bring operations of the National Vehicle And Fuel Emissions Lab, the NVFEL, in Ann Arbor to a screeching halt. The lab’s importance cannot be overstated: its job is to make sure new vehicles meet fuel economy and emissions standards, and that as vehicles age, their emissions equipment continues to function properly to protect our environment. In addition, the NVFEL—which employs over 400 employees with engineering, chemistry, toxicology, law and economics backgrounds—analyzes fuels and additives, and even develops its own fuel economy and emissions-improving technologies. It’s a lab full of of experts who hold 60 patents in advanced technologies, and who—according to the Detroit Free Press—are now having their funding reduced by $48 million (or approximately 99 percent of the operating costs according to the Save EPA Ann Arbor Facebook campaign page), as part of the current administrations 31 percent EPA budget cut. The Administration’s proposed cuts to EPA’s fuel economy and vehicle emissions budget is short-sighted and would create uncertainty, cost jobs and potentially destroy our country’s competitive edge in this important field. This is a national treasure in Ann Arbor and we will not let them destroy it. 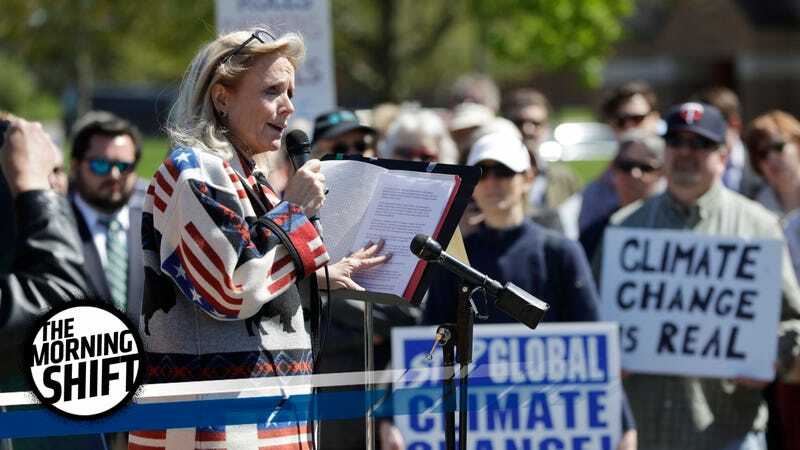 Dingell, who obviously has incentive to preserve the thousands of jobs the lab brings to Ann Arbor, spoke at a rally outside of the Ann Arbor facility on Monday, where dozens of protesters cried out against the budget reduction for NVFEL. To ease the burden of unnecessary federal regulations that impose significant costs for workers and consumers without justifiable environmental benefits. This would result in approximately 3,200 fewer positions at the agency. EPA would primarily support states and tribes in their important role protecting air, land, and water in the 21st century. The current administration has called for a fee-based system in which automakers would pay the laboratory for its work. But this may not be such a hot idea, as policy counsel for the Consumers Union told The Detroit Free Press this “pay to play situation” would likely take years to set up, and could give automakers more influence over the testing process. Talk about a conflict of interest. No pressure, 2018 Mazda CX-5, but your success could dictate the future of diesels in Mazda’s American lineup. Don’t screw this up. That’s according to Automotive News, who say the Japanese automaker hopes the 2.2-liter diesel variant of its small crossover will account for at least 10 percent of total CX-5 sales after the model debuts in the fall (that’s 11,220 vehicles based on 2016 sales figures). CX-5 will be a very good indicator for us to understand where we have the opportunity and what kind of people come to buy those new technologies. The diesel option, which will only be available on Grand Touring trims to start, is in the process of being certified by the EPA’s fuel economy lab in Ann Arbor (the same one whose budget is being slashed by the current White House administration), but approval is expected in the next few months. Whether Mazda will hit that 10 percent goal, and expand its diesel line is anyone’s guess. But the Dieselgate fiasco, and with Mercedes Benz recently announcing its plan to pull diesel vehicles from its lineup, there’s reason to be cynical. Sure, the Dieselgate scandal has cost Volkswagens tens of billions of dollars, but that’s not going to stop the car company from selling fuel-sucking, opulent status symbols. The company, which is actually doing better than you might think in the wake of such a huge scandal, is holding onto both Bugatti and Bentley, with CEO of Porsche Oliver Blume saying to Reuters “There are no considerations to sell anything.” He went on to say that Porsche and Bentley have saved more than 100 million euro in “annual synergies,” so there actually seems to be a business case behind that niche brand. I’m not so sure how strong the business case is for Bugatti, but I’m not complaining—the more engineering marvels there are in this world, the better. After Volkswagen was caught cheating on emissions testing by U.S. authorities, the company commissioned a full in-house investigation into the scandal. The exact results of that investigation, however, may never be know, because VW is not releasing a full report. Much to the chagrin of shareholders, The Telegraph reports. There is no written concluding report by Jones Day and there will not be one...I ask for your understanding that VW, for legal reasons, is prevented from publishing such a final report. We were told very clearly by VW that the report would be published in due course...Saying there is no report is not credible, it stretches the imagination too far and lets down consumers. She’s right about the “stretches the imagination part.” You have to wonder why VW is so hesitant to publish the findings. Japanese automaker Nissan is struggling. It’s expecting a 7.7 percent fall in operating profit in 2017, in part due to higher material costs, and also because of a weak Yen. To fix this, Nissan going to up its pickup truck and SUV game, Reuters reports. Right now, Americans aren’t particularly interested in small cars, which tend to be Nissan’s bread and butter. This means Nissan—and other automakers that specialize in sedans and hatcbacks— are going to have to adapt. We moved from being typically a 60 percent car and 40 percent truck company to 50-50 (in our offerings). 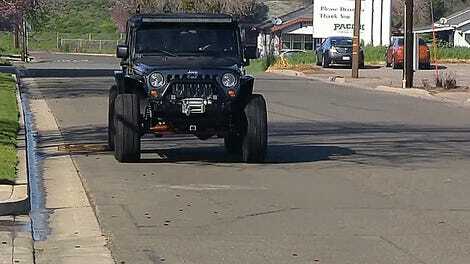 We’re on our way to 60 percent trucks and 40 percent cars to adjust to the market. That’s right, Nissan is going to become primarily a truck company. Because America. Neutral: Will Mazda’s CX-5 Diesel Succeed? Mercedes isn’t interested in expanding their diesel lineup in the U.S., but Mazda is. Who’s right, here? What does the CX-5 diesel have to be (and not be) for Americans to buy it, and meet Mazda’s 10 percent target?